Micro Marigold Florets™ are a microflower variety with bright orange petals. They’re perfect for sprinkling on plates, garnishing food or tossing in salads. 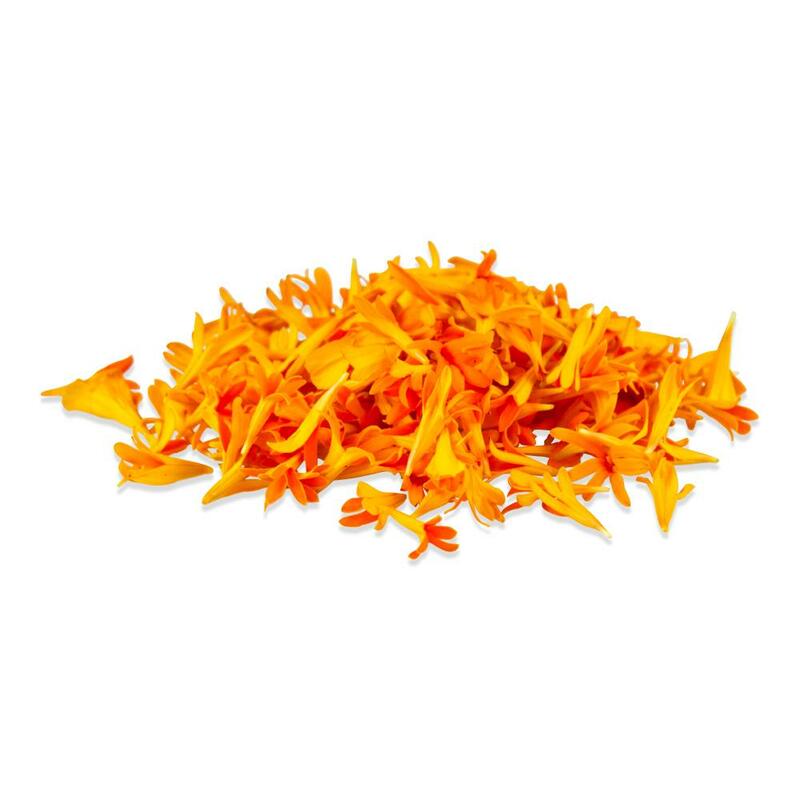 Marigold florets’ flavor is spicy and a little grassy – spicier than full-sized edible marigolds. 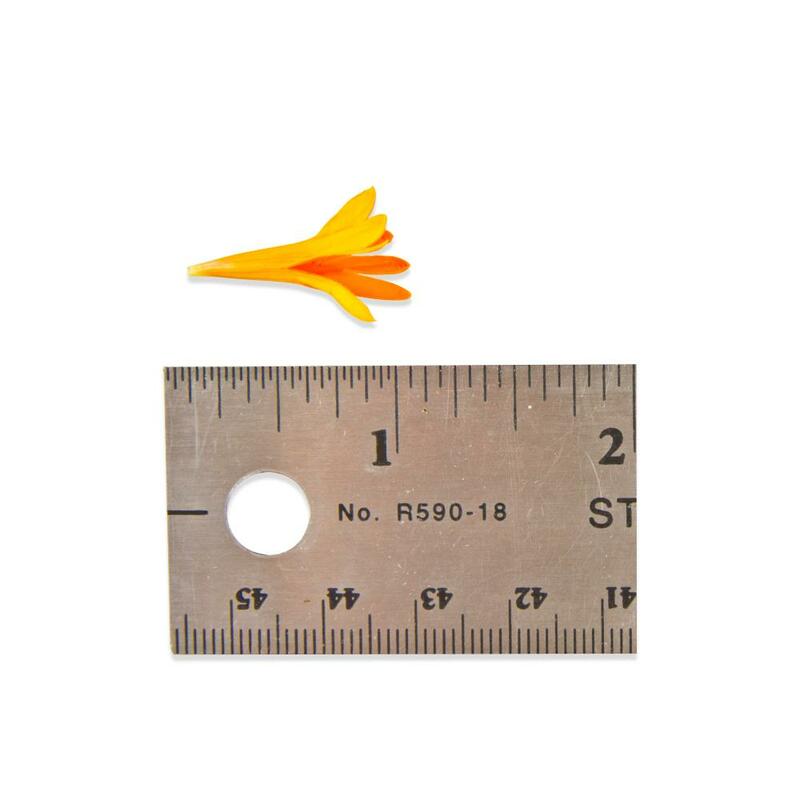 The blossoms average roughly ½” by ¾” in size. 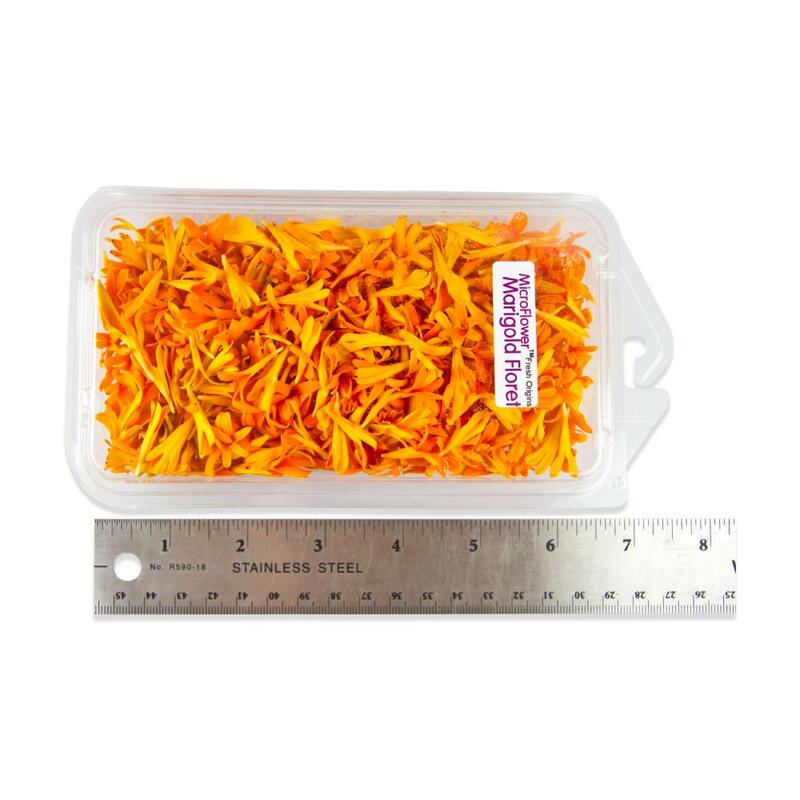 Store Micro Marigold Florets™ in their plastic clamshells in your refrigerator. Micro marigold florets™ can be used as a garnish or ingredient. Try blending them with softened unsalted butter (plus salt or sugar to taste if desired) to make a vibrant floral compound butter. They can also be tossed in salads.